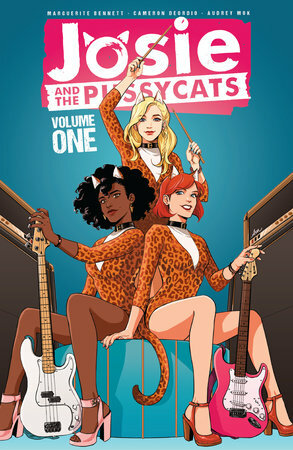 After enjoying the more modern, mature, and acclaimed titles from Archie Comics lately (Archie, Jughead, and Sabrina), I had high hopes for Marguerite Bennett and Cameron Deordio's Josie and the Pussycats. Unfortunately I couldn't get into this one at all. Largely it was due to the humour. 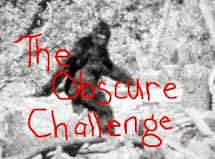 Sure there were lots of jokes but they seemed to land with a thud, shoe-horned into the story without really adding to it. And I'll acknowledge up front that humour is a personal taste, maybe this just wasn't for me. It just seemed that the punchlines, by and large, weren't punchlines at all but rather references to something in pop culture, as if that alone made it funny. I also didn't come to care for the characters. Josie gets more development than the other two Pussycats, and while her character grows, she's still not exactly charming, seems to want fame for fame sake. Her friend Valerie thankfully gets a little spotlight toward the end, but her other friend Melody is woefully neglected except for supposed comic relief. She's also a confusing character; is she supposed to be an airhead or a genius or what? Audrey Mok's art is fine, balancing realism against cartoonish expressions, and it's coloured wonderfully by Andre Szymanowicz and Kelly Fitzpatrick.